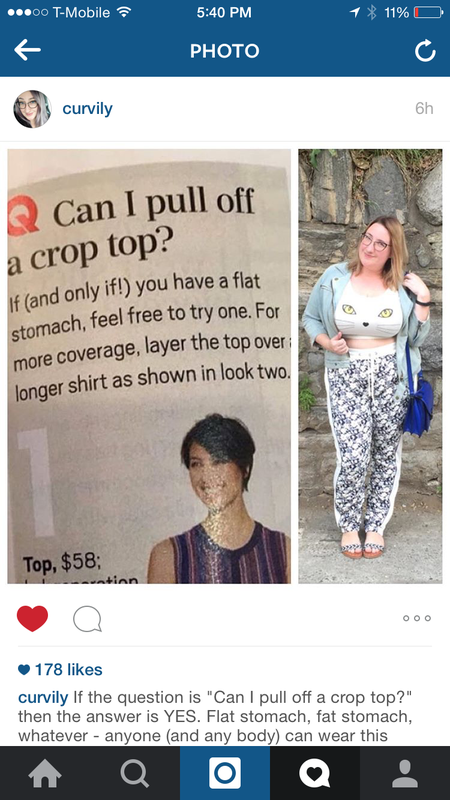 Q: Can I pull off a crop top? 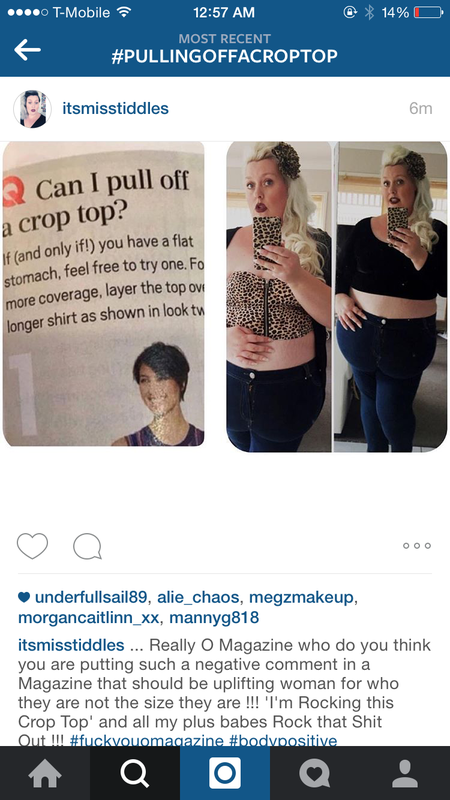 A: If (and only if) you have a flat stomach, feel free to try one. For more coverage, layer the top over a longer shirt as shown in look two. 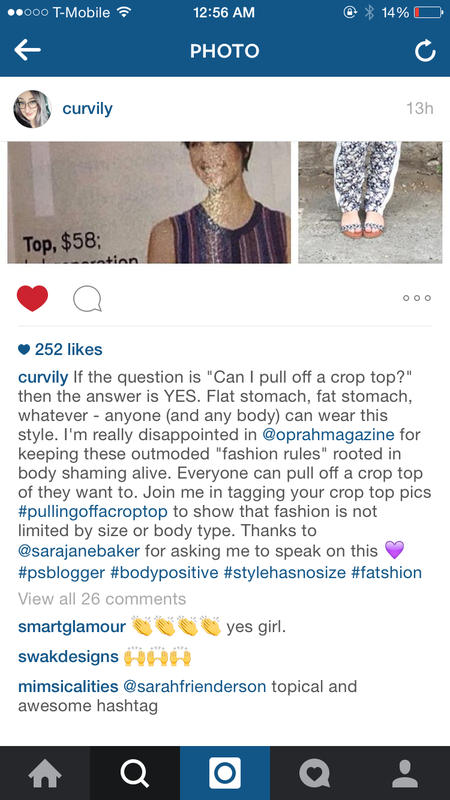 The hashtag #PullingOffACropTop has over 700 photos and posts of women sharing their disappointment in the magazine and their love for a body positivity movement. With role models like Tess Holliday who are breaking barriers for full figured women everyone, brands need to be more aware of the content they’re putting out. Women no longer feel the need to fit into social conformity’s in the world of fashion. 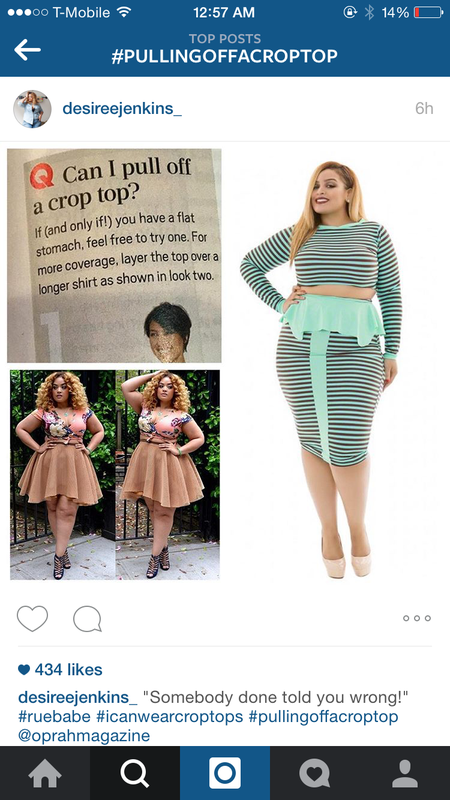 Oprah Magazine has yet to address the Q&A in their magazine but should do so and fast! What do you about the Q&A? Are people just too sensitive? Comment below. ← Drake + Apple: Is Tidal In Trouble?